Surely the Lord God is with me and will not let his servant tremble with fear. And yet I am somewhat fearful of what may lie ahead. Although I have faithfully served God within my congregation all these years…although I have spoken about faith often and forcefully from the pulpit, still – I am human and wonder what lies ahead. “Really? Again? So here I am, reading the same passage and jotting down thoughts in my journal, asking you, sweet Holy Spirit, to make it plain. What does this mean for me? It is a comfort that God promises to be with me in this coming thing – whatever it is. And I see that my part is to trust him. But still, I don’t like the fact that this is a warning of some type of impending doom. Is this something that will happen to me personally or to someone in my congregation? Not to my beloved son, oh God, please. Not to Jacob or to his bride, Jessie. Please, God. I can’t stand it. When you go through it. When it happens. Three times I see a “When.” Yet I still do not understand. Oh God, my God, I do trust that you will be with me – no matter what happens. If it is an illness or a tragedy of some kind, you will not leave me to go through it alone. You are indeed the Lord my God, my Savior, my Comforter, my eternal Husband and Maker. Just help me to be brave. And help me to face whatever it is with my faith intact. Let me never, ever falter. Amen and Amen. 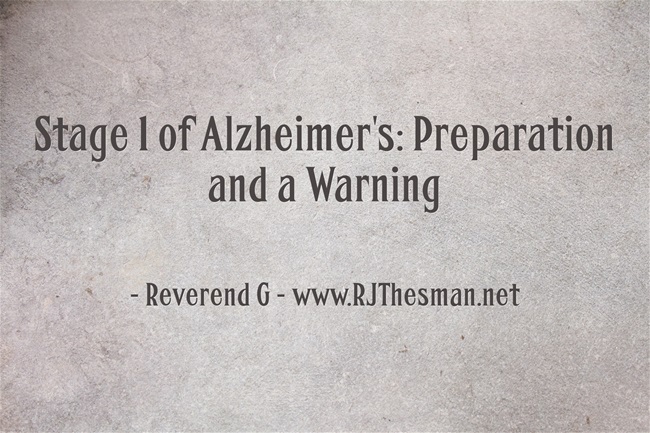 We are answering a reader’s question, “When did Reverend G’s relationship with God begin and how did she grow so close to Him?” This post is the continuation of the back story. When Gertie returned home, she tried to explain to her parents about her decision to become a Christian. But all they wanted to hear about were the camp activities she participated in – archery, crafts and rock collecting. They did, however, surprise their daughter with a new idea. So the next Saturday, Gertie knocked on the door of a white Cape Cod-style house and met the owner, Shirley. As Gertie looked around the house, she thought the house looked clean enough already, but if Shirley was willing to pay her to clean an already immaculate house, so be it. 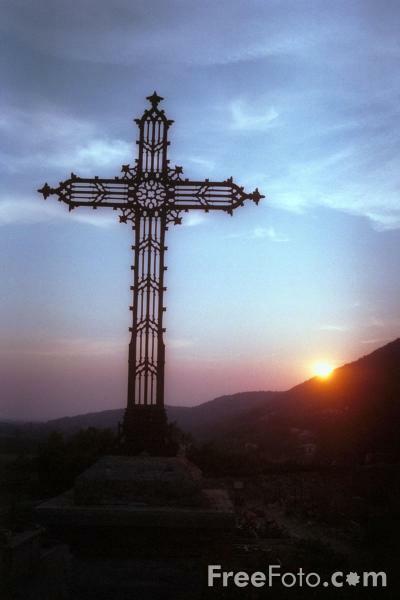 Shirley also owned lots of crosses which she displayed on the walls or on bookshelves. She even owned a pair of salt and pepper shaker crosses in the kitchen. Shirley offered a kitchen chair to Gertie, then sat down next to her. She opened a large Bible with red printing on some of the words, and she began to explain the Gospel of John. Gertie listened carefully and even took notes on the scrap paper Shirley gave her. Every Saturday from the time Gertie was 13 until she graduated from high school at 18, she helped Shirley clean her house. Then they sat down together and studied a book of the Bible. They went through John twice, then 1 John, then Matthew and Mark and Luke. Later, it was Hebrews and Romans. Shirley taught Gertie how to pray and how to keep a prayer journal. Each week, they prayed for Gertie’s parents to also become Christians and by the time Gertie earned her high school diploma, Shirley had fully discipled her young neighbor. Gertie told her parents several times about the momentous decision she made to believe that God loved her and invited Jesus into her life. But her parents just pooh-poohed it as a teenage peer group idea. They let her go to church, but they never joined her. She learned to keep her faith strong by continued discipleship with Shirley and activities with the church youth group. Shortly after Gertie enrolled in college, her parents decided to come visit her. But during the drive, one of the front tires on their Rambler station wagon blew out, and her father lost control of the car. Both of Gertie’s parents died that day, and Gertie entered into the grieving process. Christian friends at college helped her through it, including a nice young man named Chris and his girlfriend, Polly. But Gertie also discovered the book of Psalms and practically memorized most of King David’s songs. God Himself became her Abba Father as He stood beside Gertie to comfort her through the funerals, through the sale of the house and through the rest of that long, sad year. Gertie learned about the Holy Spirit and how to listen as He whispered guidance to her. She became a leader on campus as other struggling kids sought her advice. No one was too surprised when Gertie decided to major in social work and counseling, but then the Holy Spirit planted another dream in her heart. Half-way through her junior year of college, Gertie remembered a passage that she studied with Shirley. Gertie still received letters from Shirley, page after page of encouragement and hope. So it was Shirley who heard the news first when Gertie typed a letter to her aging mentor. “Thanks for the pretty card you sent, Shirley. You’re always so thoughtful, and I hope to be that way too someday. You’re my hero, you know. “God has been so close to me lately, and I believe I know now what he wants me to do with my life. John 15:16 says that God has chosen me to go and be an example, to develop godly character and witness to others. In the King James version, it even says that God has ordained me. “I’ve talked to my advisor, and we’ve been searching for just the right school – after I finish my bachelor’s in social work. “I’m going to seminary, dear friend, to be a pastor. I know it’s kind of weird for a woman to be headed in that direction, but I can’t forget John 15:16 and I think with social work and counseling majors, I’ll be able to serve God and others in a pastoral capacity. So that is how Gertie Davis became Reverend G. She finished her bachelor’s in social work, earned a master’s in counseling, then went on to earn a Masters of Divinity in seminary. Through all the years of growing up and growing inward, God never failed Gertie. 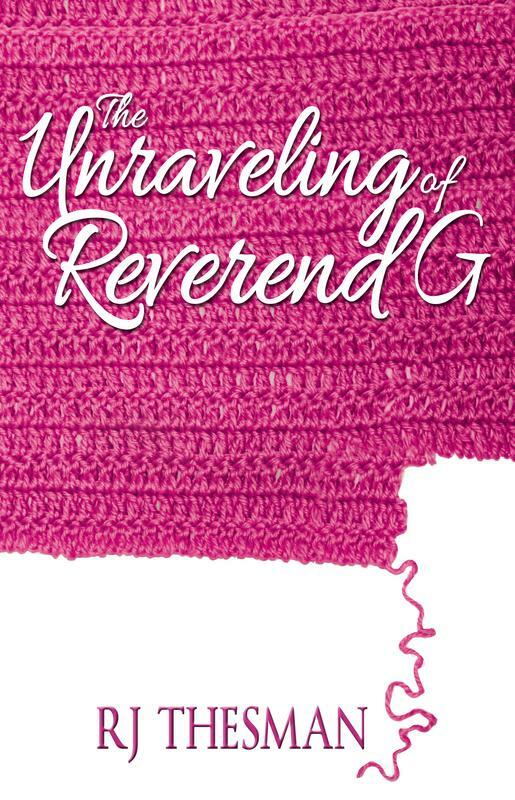 So when she became Reverend G, her faith was strong and she was able to share it with others…even when her life began to unravel.